The TDLA Sponsorship package for 2018 is now available! Click here for a full list of sponsorship opportunities! The Dedmon v. Steelman case and the Tennessee Supreme Court ruling may be read by clicking here. The Tennessee Defense Lawyers Association installed its 2017-18 officers and directors at its annual meeting held at the Peabody Hotel in Memphis on September 20-22, 2017. Michael Mansfield with Rainey, Kizer, Reviere & Bell in Jackson, TN will serve as President; Lynn Lawyer with Nationwide Insurance Company in Nashville, TN will serve as President-Elect; and Rocky King of Egerton, McAfee, Armistead and Davis in Knoxville, TN will serve as Secretary/ Treasurer during the coming year. Barret Albritton of Spears, Moore, Rebman and Williams will serve as TDLA’s Immediate Past President. TDLA’s membership also elected Heather Douglas of Manier Herod in Nashville, TN; Rob Carden with Leitner, Williams, Dooley & Napolitan in Chattanooga, TN; and Dawn Davis Carson of Hickman, Goza and Spragins in Memphis, TN to serve as its directors for 2017-18. Also at the meeting, three new Vice Presidents were elected to leadership positions. Those positions will be held by Michael Haynie of Manier Herod in Nashville, TN; Hannah Lowe of Trammell Adkins and Ward in Knoxville, TN; and Nathan Shelby of Rainey, Kizer, Reviere and Bell in Nashville, TN this year. Cate Dugan of Peterson-White in Nashville, TN will serve as TDLA’s State Representative to DRI – The Voice of the Defense Bar, which is TDLA’s national organization affiliate. TDLA's Professional Negligence and Healthcare Section has filed an Amicus Brief on behalf of TDLA in the Willeford case regarding the separation of powers challenge to T.C.A. § 29-26-121(f). TDLA Member Peter Winterburn with Lewis Thomason is the lead on this Amicus Brief. This case has not yet been set for oral argument. The 2017 TDLA Awards Nomination Form for "Defense Lawyer of the Year" and "Rising Star" award may be seen by clicking here. Nominations deadline is August 31, 2017. TDLA is planning to present an interactive “trial school” seminar designed to give new(er) associates an opportunity to learn and apply skills they need in order to be successful at trial. We would appreciate your response to the survey below so that we can tailor the seminar to the needs of our members. A reminder of the amendments to the rules of appellate procedure that go into effect on July 1, 2017. Specifically, Rule 3 has been amended such that notice of appeal is filed ONLY with the appellate court clerk. To view the full list of the amended TN Rules of Appellate Procedure that go into effect on July 1, 2017 click here, or visit the AOC website. Registration for TDLA/ ADLA Joint Summer Seminar NOW OPEN! Please join us on June 15-18 in Sandestin, Florida for the TDLA/ ADLA Joint Summer Seminar! Registration is now open! 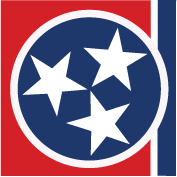 The Judicial Conference of the United States has authorized the appointment of a full- time United States Magistrate Judge for the Eastern District of Tennessee at Knoxville. This position is created by the upcoming retirement of Magistrate Judge C. Clifford Shirley, Jr. The essential function of courts is to dispense justice. An important component of this function is the creation and maintenance of diversity in the court system. A community’s belief that a court dispenses justice is heightened when the court reflects the community’s racial, ethnic, and gender diversity. Applications must be submitted only by applicants personally and must be received by the Clerk’s Office by the close of business on March 30, 2017. More information: click here.